Victory Belt Publishing, 9781628602890, 384pp. 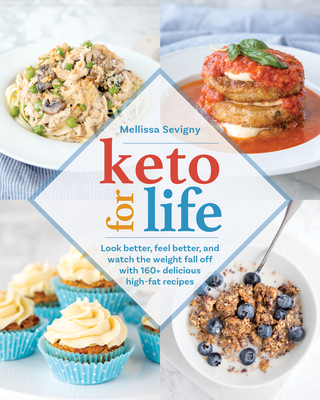 Mellissa Sevigny is the cook, photographer, and writer behind the popular food blog I Breathe I'm Hungry, which focuses primarily on low-carb, ketogenic, and gluten-free eating. Having received her first cookbook when she was just four years old, Mellissa has been in the kitchen ever since. She has appeared on ABC’s The View several times. Born in Connecticut and a Yankee to the bone, Mellissa currently lives on the beach in Belize with her husband of 24 years, their 10-year-old son, and two very spoiled cats. In addition to cooking and photography, Mellissa is an avid reader, gardener, and lover of coffee, bacon, and bourbon.